If you dare enter the Aokigahara “Suicide” Forest, remember one thing above all else: STAY ON THE PATH. From Gramercy Pictures comes THE FOREST, a film sure to keep you from wandering off alone. Check out the new trailer below. 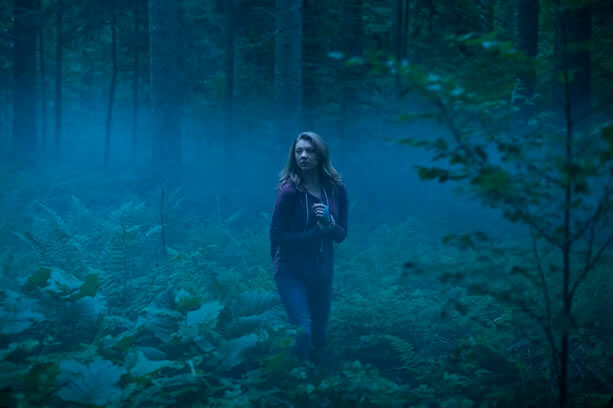 Set in the actual Aokigahara Forest in Japan, THE FOREST centers around Sara (Natalie Dormer of “Game of Thrones” and “The Hunger Games”), a young American woman in search of her twin sister, who has mysteriously disappeared within the depths of the forest. Starring Natalie Dormer and Taylor Kinney, THE FOREST hits theaters nationwide JANUARY 8, 2016. SYNOPSIS: A supernatural thriller set in the legendary Aokigahara Forest at the base of Mt. Fuji in Japan. A young American woman, Sara (Natalie Dormer of “Game of Thrones” and “The Hunger Games”), goes in search of her twin sister, who has mysteriously disappeared. Despite everyone’s warnings to “stay on the path,” Sara enters the forest determined to discover the truth about her sister’s fate – only to be confronted by the angry and tormented souls of the dead that prey on anyone who wanders into the forest.